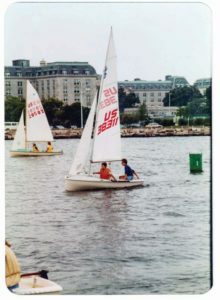 Publisher John Stefancik (right) at age 14, sailing a 420 sailboat with his mother in a parent-child race in Annapolis Harbor. 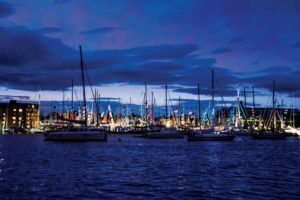 For three years, Chesapeake Bay Magazine has hosted a Boat Show Bash at the annual Annapolis Sailboat Show, the largest show of its kind in North America. 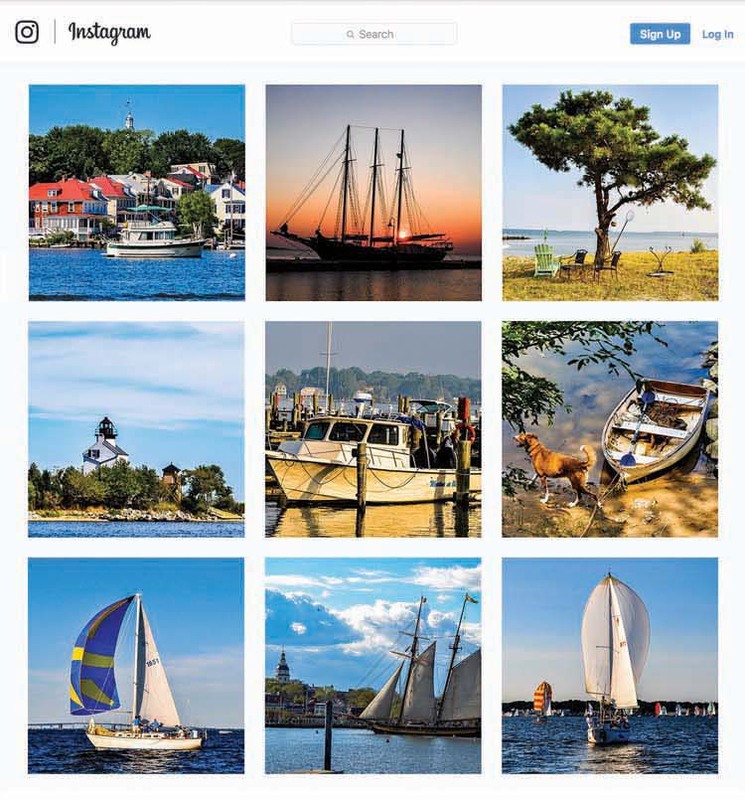 The picturesque Chesapeake Bay region is ideal fodder for the brand’s Instagram feed. 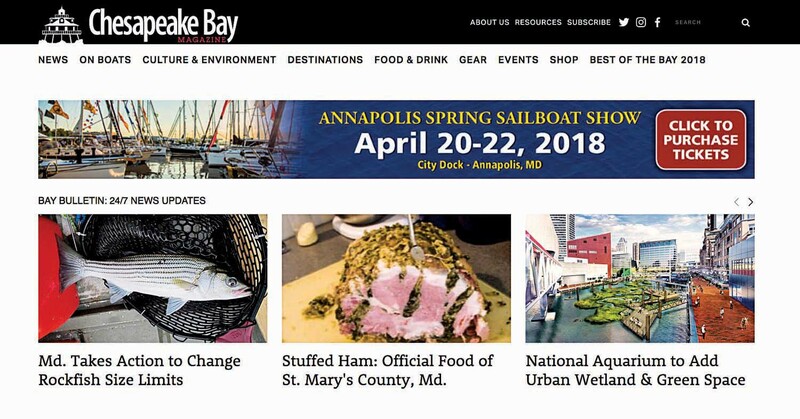 The Chesapeake Bay Magazine website, which receives hits from the brand’s social media posts, sees about 40,000 views per month. 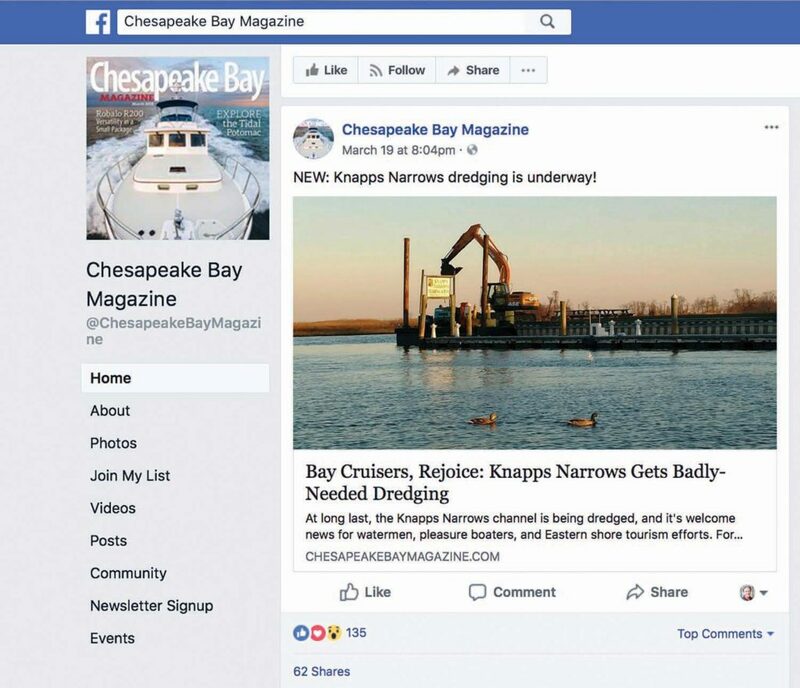 Chesapeake Bay Magazine’s Facebook posts generate 8,000 to 15,000 views per day. Co-owner and Publisher John Stefancik tells us how their gutsy approach has transformed this once-tired title into a powerful brand. When John and his business partners, John and Rocco Martino, bought the magazine in 2014 from the previous owner of 40 years, the brand was essentially a single-platform publisher — the print magazine front and center with the requisite digital components hanging on. The editorial was tired. Ad sales were stuck in a post-recession slump. John sat down with us to talk about the course changes that he and his team have been making to the brand’s content and advertising sales strategies to fuel this growth. 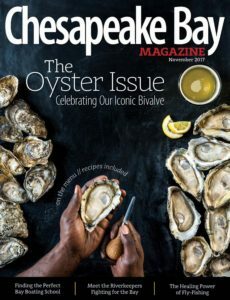 Tell us about Chesapeake Bay Magazine. What’s the brand all about? The Chesapeake Bay is a unique place in the world — sometimes even the people who live in the mid-Atlantic don’t fully realize it. Half of the War of 1812 was fought here. We have fossils. In fact, the oldest known fossilized shark in the world was found 20 miles from here. It’s an amazing, expansive waterway to explore — the largest estuary in North America. 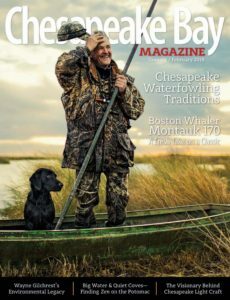 Our goal at Chesapeake Bay Magazine is to connect people — in some cases even deeper than they’re already connected — with this place. Our common theme is boating because that’s how people get out to explore and enjoy the Chesapeake. And it doesn’t have to be a powerboat or a sailboat. It can be a kayak, or a standup paddle board. It can be anything. Most of our readers live in the mid-Atlantic area or grew up on the Bay. 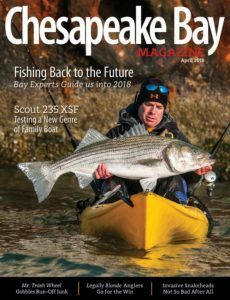 I know we’re doing something right when one of our readers calls me to say, “ I just read a story in your magazine, and I had this exact same experience during a boat trip I took on the Chesapeake when I was a kid.” We want to help keep that connection alive, whether our readers live here and are active on the Bay or have moved away and just want to remember a place that’s important to them. We’ve had readers in all 50 states and 13 countries. When you and your partners took over the brand, what was your first priority? We’ve spent the last four years making the content experience better for our readers. We’ve enlarged our digital footprint so it’s easier for people to find us. And once they find us, we make sure the content they get is compelling and can’t be found anywhere else. I tell the sales staff that the best thing about the web is that you can learn anything you want to know there, and it’s growing exponentially every day. That’s also the worst thing about the web because it’s getting harder to find what you’re looking for. It’s there, but it’s not going to be neatly packaged for you. That’s what we do. We’re the trusted source. We curate info about the Chesapeake Bay better than anybody else. I truly believe the adage, “Content is king.” If you provide good content, readers for whom your content is important will find you — and then stick with you. And once people are drawn in, what will they find? We call that our platform because we’re more than just the print magazine — although that’s the best-looking, in my opinion. We’re on social media channels, and when you read something we’ve posted, you’re guided back to that story on our website. We have a news editor who puts out Chesapeake Bay news in e-newsletter form, the Bay Bulletin. And we email a monthly curated events listing called the Bay Calendar. We also produce annual books about boating — cruising the Chesapeake, planning a trip on the Intracoastal Waterway. We’re working on a weekenders’ guide for boating. Last year we launched our first guide to boating on the Potomac River, from the nation’s capitol down to the Chesapeake Bay. We’re getting more and more into events. 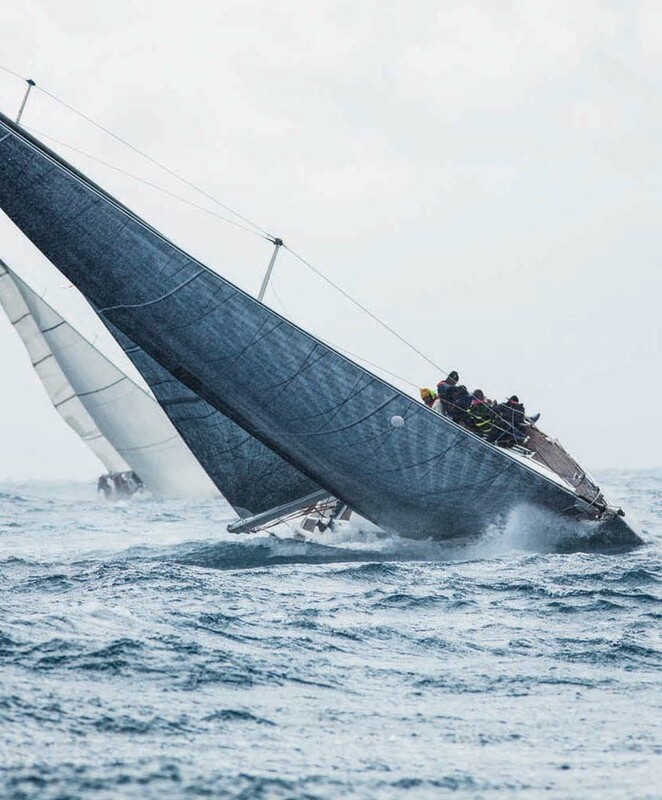 We produce educational seminars and throw a big party at each of the two annual Annapolis Boat Shows, and we’re gearing up to sponsor a huge event, The Boat Life Festival, in Washington, DC this fall. So, in the big picture, we’re publishing daily on social media, weekly with our news service, monthly with our magazine and events calendar, annually with our books, continuously on our website, and we’re out there in person at live events. So “Content is king.” How do you ensure your content is good enough to work as that payoff for readers that you describe? Once we got the right products in place, we had to find and cultivate the right talent. Through a whole lot of effort and some luck, we found them. To be the right fit for us, it’s not just about having the right technical skills; you also have to know the Chesapeake. And you can’t just be a historian; you also have to be familiar with the water. At the same time, you need to have the bona fides of a good editor or art director, or whatever the job is. Our editor built boats for 10 years. He was a professional sailor. He was also a filmmaker for National Geographic, and he worked at the Public Affairs Office for the Maryland Department of Natural Resources. He understands boating culture, the environmental issues in the Bay, and how to create good editorial. He has the perfect background, and it took us a while to find him. It was worth it because talent is essential to producing quality content. It sounds like a “Build it, and they will come” strategy. Is that how you think of it? Yes, but you have to make sure your platform is right. There’s so much distraction out there to divert readers’ attention, especially on the web. Our goal is to stand out to readers and then drive them to our content products. If you build it, and you provide it in the right mix of channels, you’ll get them. We’re now reaching four to five times the number of people we were reaching with the magazine alone. Speaking of, how does print fit in? We still believe that the flagship product of our brand is the print magazine. So we try to create such an awareness with our digital footprint that people want to get the magazine, and then they want to hold on to it. The social media creates awareness; those folks sign up for the Bay Bulletin; and then we look for opportunities to sell them a subscription to the magazine. And if they don’t buy the magazine? If they don’t get the magazine, we want to make damn sure they’re seeing us on the web, so we’re posting a lot. We have 8,000 at a minimum, usually 15,000 views on Facebook every day. If the print magazine is the flagship reader experience, are there any tacks you take to make sure that product looks the part? We invest in having an art director on staff. In my opinion, this position is worth its weight in gold. We invest in photography because our subject matter is perfect for it. And a year ago, we changed our cover stock from glossy to matte. The effect was remarkable. The finish has really made a difference in the appearance, the way the magazine feels in your hands, and how it highlights our cover photography. It improves the whole experience of reading it. A year later, people are still telling us how good they think it looks. In terms of audience, is there such a thing as too niche? I think there is. Our strategy is to diversify our content to attract more people without losing those who have been with us. We used to be more boating specific, and we’ve branched out to be more all-things-Chesapeake. All of our content still has to relate to the water, but it could be fishing, or fossil hunting, or local history. For example, we had an extreme low tide a couple of years ago, and folks found the oldest known ship of its kind built in Maryland. We can connect that to the region’s shipbuilding heritage or the boats that are still being built here. These kinds of topics give us avenues to explore as we expand our repertoire. What does the content and audience you’re building mean for your advertisers? It means that, in this day and age, carefully curated content is more valuable than ever. If you’re a business in this area, you want your advertising to be where the right readers are, and where it’s presented in the best possible format and high-quality setting. How do you sell that to advertisers? We’ve really pivoted when it comes to our ad sales strategy. We used to sell piecemeal: “If you want to have digital exposure, it’s x- amount for a web ad per month, or it’s x- amount for an email ad per month. And x-amount for a print ad.” We even were selling social for a while. But we’ve come around to the idea that we are really selling exposure to this community, this niche audience. And we firmly believe that this means exposure over time, across our entire platform, which — as I’ve explained — is very interconnected in terms of the user experience. So instead of selling disparate pieces on that platform, we now sell cross-platform exposure. There’s just so much media saturation now that, as an advertiser, you need to be present often enough to get readers’ attention. “The sell” is now about the amount of exposure and its impact. So what does this look like in terms of ad sales packages? We’ve thrown out the traditional rate card. Now we have five tiers of exposure. If you start at the first tier, you get a certain amount of space in the magazine and on the website at a certain frequency. As you push up, you get more platforms — special sections, e-newsletters, annual books, etc. — at higher frequencies. Everything includes print. We still believe that you need to do print in order to get maximum response. How are your advertisers reacting? Very positively. Our advertiser retention rate is very high — about 80 percent. And this strategy is more intuitive. It’s easier to explain; it’s easier to buy into. It has decreased the amount of time it takes us to demonstrate our value to our clients, most of whom are busy small businesses. What is a common stumbling block you run into with ad sales? How do you keep your advertisers engaged with your brand? I try to stay in front of them personally, which means I go to a lot of places, like boat shows, where I see advertisers. I talk with them about how their message is being received, so even when they’re not getting direct feedback, they know readers are seeing their message. And in terms of content, how are readers responding? Our renewal rate is fantastic. We did an advance renewal push last year, and we had a 50 percent response rate. And half of those renewed for five years out. That’s huge. Their subscriptions might not have been expiring for two years, but they signed up for five more because they know they’re not going to get tired of it. They know that we’re the only ones bringing this content to them. They can’t get it anywhere else. Connect with John Stefancik via stefancik@pagesthemagazine.com.